Samsung Galaxy S III is surely the smartphone of the year 2012 you have waited for. It is an amazing blend of style, performance and best of Android features. Powered by a 1.4GHz Quad Core processor, the Galaxy S III is a powerhouse. In front of it there is a 4.8-inch HD, capacitive touchscreen that supports 720 x 1280 pixel resolution with 16 M colours and Mali-400 megapixel graphics. The smartphone has unique S Voice feature that allows you to simply talk to your phone to give instructions. Its 8MP camera is capable of shooting the best moments of your life supporting videos up-to 1080p HD. The Galaxy S III comes packed with sensors like accelerometer, gyro sensor, RGB sensor, proximity sensor, barometer and compass that ensure you get the best view on the smartphone and can switch between applications with ease. The Android smartphone is enabled with GPRS, EDGE and 3G. As always it also supports the Wi-Fi hotspot feature that allows the S III to connect to the mobile network and act as a Wi-Fi router. 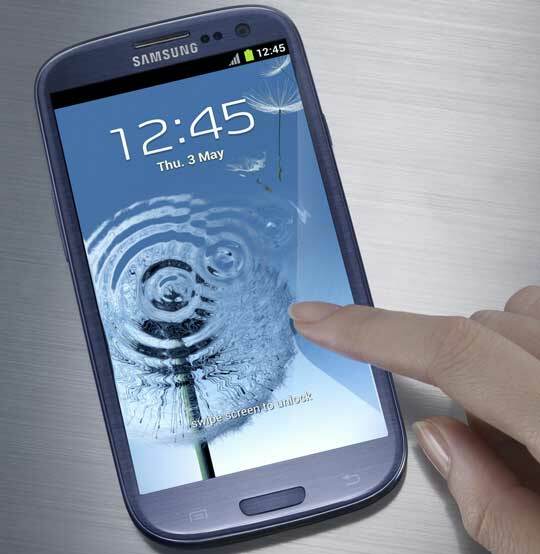 Samsung Galaxy S III is powered by a powerful 2100 mAh Li-Ion battery that supports optimum talktime and standby time. The smartphone has an internal memory of 16 GB and the memory can be expanded up to 64 GB using micro SD or micro SDHC cards. Samsung Galaxy S III is available in India for over a month. Samsung India is selling the phone for Rs 38,480 ($694). But as always many online stores are also offering the same phone with warranty at a lower rate. You can buy Samsung Galaxy S III for around Rs 37,500 ($675) from various stores in India. In the meantime Samsung Galaxy S III price is 53,000 taka ($650) in Dhaka Bangladesh without any warranty. And in US, Amazon is selling unlocked Samsung Galaxy S III for $617 now, which is the lowest rate in the table.